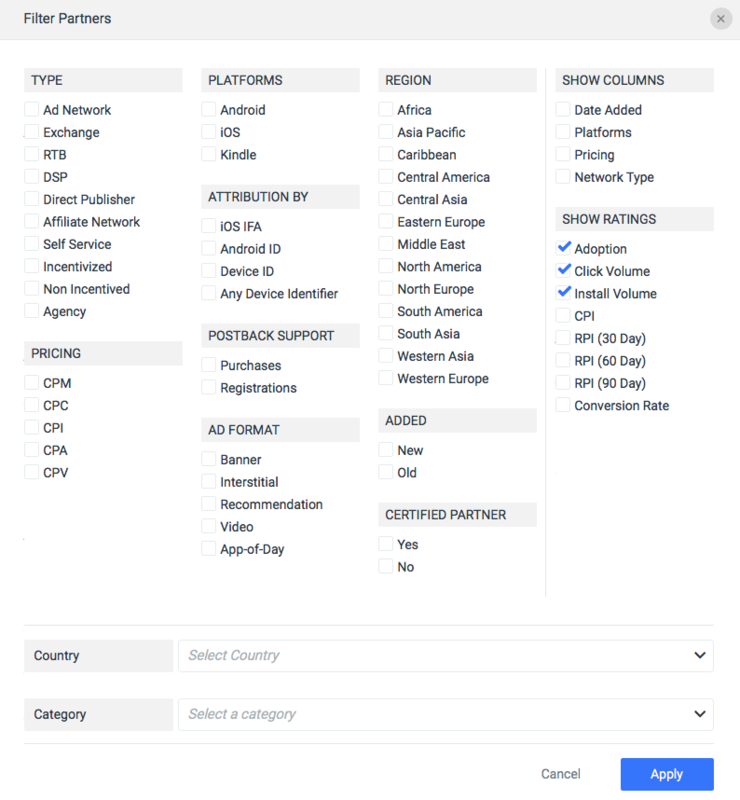 This article relates to our Attribution Analytics product, which was acquired by Branch in September 2018 and is being integrated into Branch Universal Ads. To learn more about Branch Universal Ads, please visit branch.io/universal-ads/. There are some amazing advertising partners out there. And marketers should know about them. The best of the best are platforms that don’t just promise results but actually deliver what marketers need most: results. 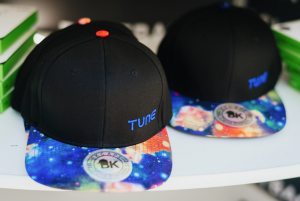 Because TUNE is integrated with over 1,000 mobile advertising platforms, and because thousands of marketers and advertising partners use tools like Attribution Analytics and TUNE Connect to manage and measure their results at scale — over 100 billion clicks and taps in 2015 and many more this year — we get to see what works. Now, we’re sharing that with you through our list of top advertising partners. Building this list is not easy, and we don’t take it lightly. It’s a data-driven process to find the best performing TUNE Integrated Advertising Partners on the planet. How many marketers are using them to drive results for campaigns: Do they have market presence? What marketers think of them: Are they trustworthy and transparent partners? Are they members of the CPP: Do they certify that they will adhere to best practices in advertising, including full visibility for marketers into results? How many times people click or tap on their ads: Do they scale? How many mobile app installs they generate: Are they effective? How much revenue per install these ad partners help generate in the first 30 days for app install campaigns. The same, but for a 60-day period. How many users stay active on day 1, D2, D3, D7, and D14 for mobile app install campaigns. Before we get to the actual list of top advertising partners, one thing that has become tremendously clear over the past several years is how truly global ad tech has become. That’s reflected in our list of top advertising partners, which are scattered across the globe. Sure, many of the top advertising partners — in fact 15 of them — are located in California and other locations around the United States. But four top advertising partners are based in Berlin, Germany. One is in Tokyo, with another in Hong Kong. One is in India, and one is in London. And while just one is officially headquartered in Israel, several of our Top 25 ad partners have original founding offices in Tel Aviv plus a newer, smaller head office in Silicon Valley. And of course even those companies that have headquarters in one particular country typically have operations in many. In fact, a trend that we noticed while putting this data together is that many companies are not listing an official “head office” anymore. Instead, they’re listing all their global offices, and customers can choose to contact whichever one they wish. This makes a lot of sense in a global economy in which your CEO is as likely to be in Bangalore or Berlin or Beijing or Brasilia as she or he might happen to be in Baltimore. Another thing that became increasingly obvious as we built our top advertising partners list: innovation and disruption are accelerating in the mobile space. Last fall, we had six new partners in the Top 25. This year we have even more: seven new players. There is significant movement and jockeying among ad platforms as the best are continually investing in new technology and new targeting capabilities. Clearly, it’s challenging to maintain top ranking as the bar gets set higher year after year. The most obvious trend, however, is the one we’ve already mentioned: mobile advertising is a global ecosystem. Four of the seven are from outside the U.S., and it’s actually five if you count IronSource as a Tel Aviv company. In addition, one of the new U.S. ad networks is not based in Silicon Valley but is based in Austin, Texas. In addition to new ad partners, we’d like to congratulate those Top 25 ad partners who not only remained on the list, but actually moved up from last fall’s ranking. Special congratulations to those impressive ad partners who are on the list for a second year in a row … and the extremely elite who made the cut for a third straight year. 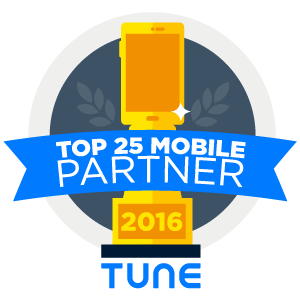 Finally, here’s the list: the Top 25 ad partners who are integrated with TUNE. Congratulations to all the companies that made the list. It’s based on hundreds of millions of data points, and an algorithm that is fair and focused on marketers’ needs. Doing well in this list requires both quality and quantity, with enough adoption across the ecosystem to make an impact. Mobile has changed the game for consumers, developers, and brands. Apps are a core part how consumers engage with their mobile phones. That’s why Google is committed to helping marketers promote their apps across Google’s network: Search, Play, YouTube and the millions of sites and apps in the Google Display Network. Marketers all around the world are using Universal App Campaigns to deliver the performance results that matter most to their business — from purchasing virtual currency, to signing up for a free trial, to finding flights for a summer vacation. Delivering these results to mobile marketers is core to the products we build, and central to our commitment to brands all around the world. “There are three things that make Google’s services unique to marketers. The first is scale. Last year, we launched Universal App Campaigns, allowing marketers to easily tap into billions of users across Google Search, Google Play, YouTube and millions of apps and sites on the Google Display Network. The second is being able to combine the power of context and intent so marketers can be present during a user’s moment of need. If you’re a fitness app, it may be the moment a marathon runner is looking for an app to help her train. Known for its proprietary Instant-Play™ HD mobile video technology, AdColony is a leading mobile marketing platform offering growth, engagement, and monetization solutions for an extensive network of the world’s top apps. 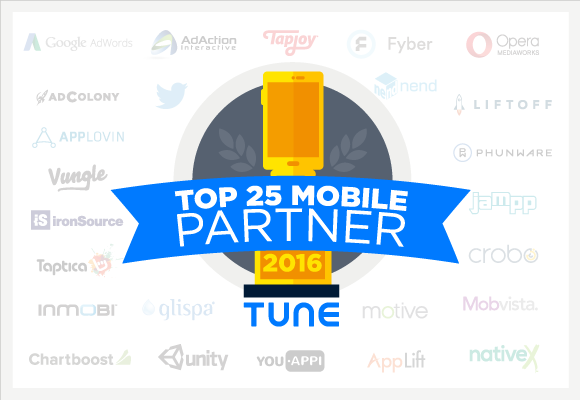 As a trusted mobile partner, AdColony works with Fortune 500 brands and over 85% of the world’s top grossing publishers. AppLovin is a leading mobile marketing platform that helps the world’s largest brands reach over two billion consumers globally with relevant content. The platform provides marketing automation that allows brands to acquire new consumers on mobile and Apple TV apps. 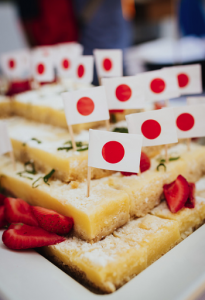 The company has over 100 employees and is headquartered in Palo Alto with offices in San Francisco, New York, London, Beijing, Tokyo, Seoul, and Berlin. Twitter answers the question, “what’s happening?” From breaking news to entertainment to sports and politics: if it’s happening in the world, it’s happening on Twitter. For advertisers, it’s a chance to be part of moments, connect with audiences and bring your app’s story to life. 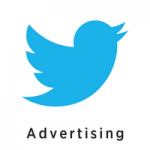 Through advanced targeting, you can reach a potential audience of more than 800 million people—on Twitter and across thousands of popular apps on the Twitter Audience Platform—when they’re most leaned-in and receptive. 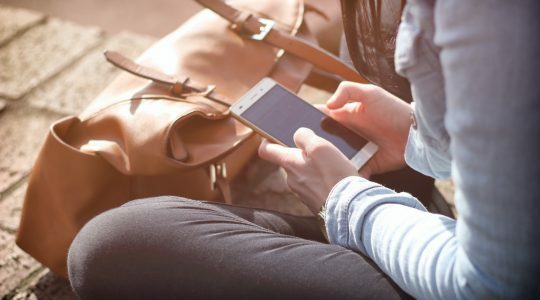 Integrated with over 80,000 apps and reaching 800M unique users a month, ironSource is the largest independent platform for mobile marketing in the industry. The platform serves mobile marketers looking to drive measurable impact and engagement, combining massive global reach and proprietary first-party data from across the user journey with unique, high-impact ad units built by their in-house creative studio. InMobi enables consumers to discover new products and services by providing contextual and personalized ad experiences on mobile devices. Through its revolutionary advertising and discovery platform, app developers, merchants and brands can engage mobile consumers globally. Recognized by Fast Company as one amongst the Most Innovative Companies in the world for 2016, InMobi reaches over 1.5+ billion unique mobile devices worldwide. Chartboost is the largest mobile-games only platform to increase revenue and discover new players. Chartboost’s technology provides mobile game developers with free cross promotion, a free developer-to-developer direct deals ad marketplace, the largest mobile games-only ad network with interstitial and mobile video ads, plus robust app analytics. Chartboost powers over 300,000 games with 1 billion monthly active players and drives over 40 billion monthly game sessions per month. AppLift is a leading mobile ad tech company that empowers mobile app advertisers to take control of every stage of the app marketing lifecycle. AppLift’s programmatic platform, DataLift 360, enables advertisers to launch their apps as well as grow and retain quality users from one single interface. With DataLift 360, app marketers can programmatically access a all major mobile ad inventory worldwide and control their campaigns through a single proprietary technology platform with advanced data integration as well as extended targeting and audience management capabilities. AdAction is an innovative mobile app media company partnering with leading app developers, Fortune 100 brands, and quality publishers to facilitate and accelerate efforts to increase sales, drive app downloads, and engage consumers across iOS and Android platforms. Since its inception in 2013, AdAction continues to have one of the highest client retention rates in the industry and averages more than 5 million monthly app installs in 180+ countries. Taptica is a global end-to-end mobile advertising platform that helps the world’s top brands reach their most valuable users with the widest range of traffic sources available today, including social. Their proprietary technology leverages big data and, combined with state-of-the-art machine learning, enables quality media targeting at scale. Taptica creates a single arena in which brands can scale and engage more relevantly with mobile audiences, staying ahead of the competition. 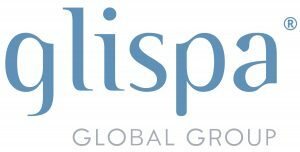 Glispa Global Group is a mobile marketing ad tech company empowering clients to activate global audiences and move markets. Providing a full suite of technology ­based services, Glispa partners with global advertisers, app developers and publishers, enabling them to reach their user acquisition and monetization goals. Unity’s premier mobile game ad network, Unity Ads, is trusted by top brands like Sega, Supercell, and King — both for monetizing their user base and acquiring highly-valued users. Users opt-in to watch video ads and earn virtual item rewards. Tapjoy is a global in-app advertising platform that helps marketers connect with over 520 million people in the apps and games that they love. Tapjoy offers a full suite of InterplayTM ad experiences designed to meet specific marketing objectives, from acquiring high-quality new users to increasing brand awareness. InterplayTM ad experiences are directly integrated via SDK into more than 10,000 apps. We offer a full suite of in-app ad experiences called InterplayTM ads; they are the only ad product on the market designed and optimized to meet specific marketing objectives within mobile games. All of our InterplayTM ads are natively integrated into the world’s best-loved apps and games and deliver industry-leading impact for our advertising partners. Their effectiveness has been proven by comScore and is also evident in our ability to deliver industry-leading performance for our valued advertising partners and earn the respect of our industry partners. Fyber connects app developers and media companies with advertisers through the power of technology, across every device. They are an independent advertising technology company devoted to delivering global audiences at scale through a powerful cross-platform monetization & advertising solution. Their SSP, Ad Server, Exchange and Mediation products empower thousands of the world’s leading app developers and publishers to generate business-critical revenue streams and serves over half a billion monthly active users globally. Motive Interactive provides mobile marketing and user acquisition services to mobile app companies through its programmatic ad technology. 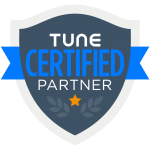 Having been a partner of Tune for over 5 years, Motive has helped thousands of app developers across numerous verticals drive millions of quality installs. Motive’s experience and commitment to our clients success has allowed us to build unique partnerships with some of mobiles top developers. Mobvista is the world’s leading mobile advertising platform that ensures products’ digital ubiquity and maximizes monetization at global scale. Channeling quality and targeted traffic from 240 countries and regions, Mobvista has helped clients worldwide amplify their impact by leveraging their advertising and monetization efforts. 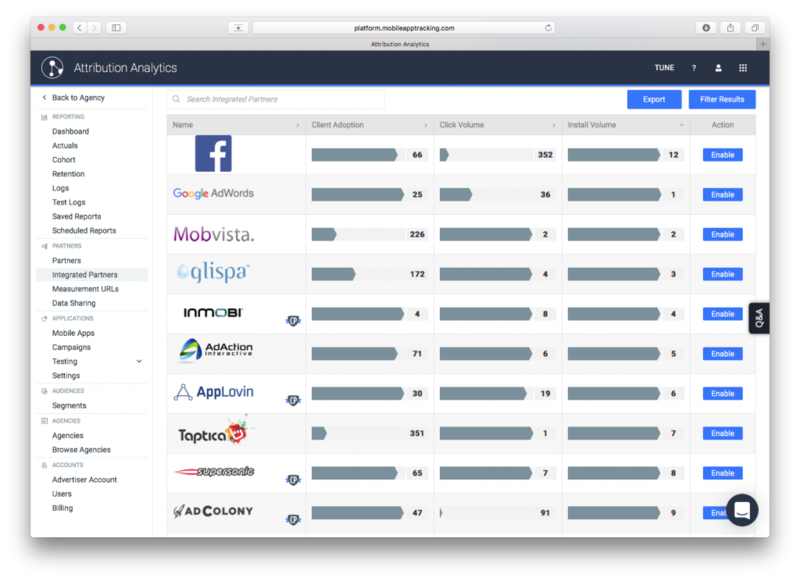 Mobvista owns a user database covering over 2 billion devices and 3000+ user targeting labels, reaching over 10 billion daily impressions through boosting tech innovation and excellent customized service. YouAppi’s OneRun™ Platform is the Industry’s first Growth Marketing Platform for premium mobile brands. Their platform is a full-cycle user acquisition solution, optimizing the complete user journey from awareness to purchase. The fully managed Growth Marketing Platform combines the power of AI / Machine Learning with advanced fraud prevention solutions to analyze the mobile content consumption patterns of over 1.5B users, converting data into profitable and qualified users. Opera Mediaworks is the highest quality mobile advertising and marketing platform in the world. They are passionate about innovative brand experiences that evoke emotion and deliver real outcomes fueled by data, technology and creativity. Liftoff is a performance-based mobile user acquisition and retargeting platform, utilizing lookalike profiles, machine learning and dynamic ads to acquire users with high engagement and retention rates. 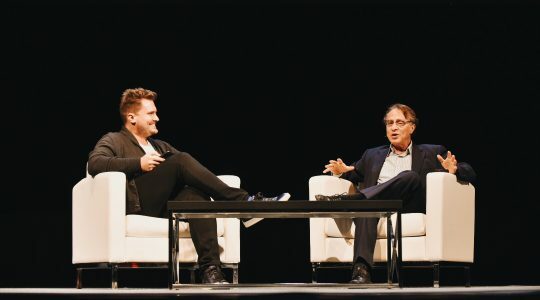 The Liftoff platform is optimized to drive engagement in revenue-producing post-install events, like making a purchase or subscribing to a service. Liftoff offers a unique pricing model where marketers pay on a cost-per-action basis, so ad dollars are not wasted on new installs that don’t convert. Liftoff buys across all of the major RTB exchanges and ad networks, offering access to 98% of all programmatic mobile ad inventory. If you use a mobile device, Phunware touches your life every day. From residential to retail, healthcare to entertainment, Phunware works with the world’s biggest brands, such as FOX and The CW, to deliver the mobile industry’s most innovative experiences. As a maker of some of the biggest apps in the world, Phunware’s platform reaches, tracks and analyzes over 650MM user IDs, and each Phunware ID is enriched with 66 first-party data events every month. This allows brands to gain an unprecedented understanding of their target audiences and engage them with effective mobile advertising campaigns. The mobile app economy runs on Jampp. Jampp helps mobile app marketers acquire and engage users with performance advertising outside of Facebook. Built for scale and efficiency, the marketing platform automatically analyzes data to make real-time bidding decisions on hundreds of traffic sources. The technology dynamically creates user segments and customized ads to maximize in-app activity. 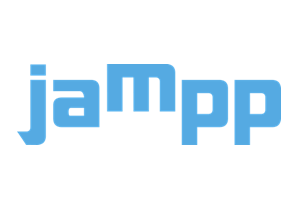 With offices in San Francisco, London, Berlin, Buenos Aires, São Paulo, and Cape Town, Jampp is trusted by the world’s leading e-commerce app. crobo is a data driven mobile marketing company based in Berlin and San Francisco that has specialized in digital marketing solutions for mobile apps and games. The company analyzes user data of its more than 800 select distribution partnerships worldwide and acts as a digital matchmaker between app developers and their relevant target groups. By these means crobo delivers sustainable user installs and high user activity. Parent company [email protected] Communications, Inc., established in 1999, is the top share leading company in the Japanese ad-tech industry. [email protected] group is supporting over 5,000 advertises and 2,800,000 with several ad networks that covers PC, smartphone and tables. 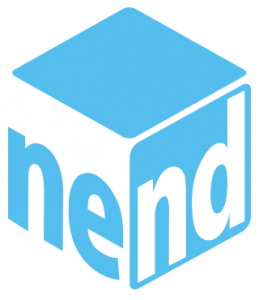 Under the management vision of “Aiming to become the world’s largest performance marketing ad network corporate group,” the [email protected] group is developing Internet advertising-related businesses including its own media operation and advertising agency, with a focus on Internet-based performance marketing ad network services. NativeX is the leading native ad technology for mobile apps and games. We make it easy for developers to successfully monetize their apps to maximize profit and to help them build an engaged audience through effective user acquisition and improved app store visibility with chart and search ranking campaigns. Facebook continues to be the largest source for app marketing, announcing over 2 billion installs to date on their platform during their F8 conference. Marketers look to Facebook for quality targeting at scale, and only recently did TUNE begin to offer an option for measuring Facebook app campaigns. The adoption of this new feature is growing quickly, but it has not yet reached the level for Facebook to appear in the top 25. We expect to see Facebook included in the 2017 update. Fast on the the heels of Facebook’s success, we have seen enormous growth from the Google platform in recent quarters. It is important to note the increase in adoption of Google’s Universal App Campaigns (UAC), which has contributed significantly to their growth in 2016. Learn more about this industry shift here. We’d be missing some amazing partners if we didn’t mention some other advertising platforms that just missed out on landing in this extremely competitive list. The reality is that at this level, the differences between tenth and twentieth — or thirtieth — are fairly small. We’d like to congratulate these ad networks on making this a great competition, and look forward to measuring their results again in a future Top 25 list. What’s Better Than Great Data? Every marketer knows that great data is … well, great. You simply can’t do effective digital advertising without it. What’s even better than great data, however, is fresh great data. That’s not just great, it’s literally the greatest, at least for those marketers who want to continually optimize their ad spend and maximize their ROI. And because you are you, a unique marketer with a specific company that has particular marketing campaigns that work best with customized parameters, you can instantly slice and dice that database by geography, platform, price, type of ad partner, cost per install, revenue per install, ad format, and much, much more. We’ll be adding to this Top 25 ad partners list shortly with details on client adoption, reputation, revenue, click volume, and install volume.